I took part in a good online discussion recently that stemmed from a photo of a guy wearing a t-shirt that read, “Loud pipes save lives.” The question that arose was whether loud pipes do indeed save lives. 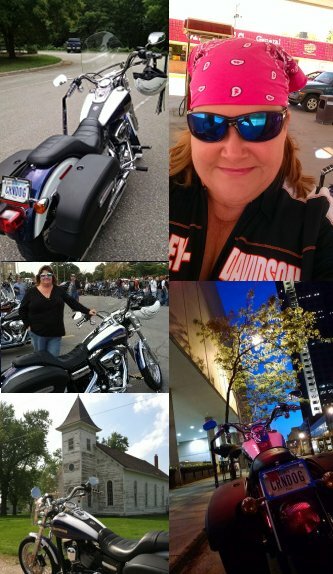 When I am driving my car, if I hear a motorcycle coming from any direction, I look around until I see it so I know where it is, the same way I do when I hear an emergency vehicle siren. Maybe I only do this because I ride, and am therefore more sympathetic. But I would certainly hope that at least a percentage of others do the same. Conversely, I’ve been startled by quiet vehicles (including motorcycles) that suddenly pass me, seemingly coming from out of nowhere. These situations have made me acutely aware that I was not aware of their presence, and that’s dangerous. It was suggested in this discussion that I should consider the AMA’s position on loud pipes. The AMA states that bikers should keep noise levels reasonable out of respect for others. I think this is actually a good “play nice” position, similar to their position on helmet use: it should be voluntary. The AMA also believes that law enforcement should enforce “appropriate” laws against excessive sound. Noise ordinances already exist in most communities. Where loud pipes are truly a problem, I imagine law enforcement is out there writing the tickets and collecting the revenue – just as they are out in Sturgis right now writing tickets for high handlebars. The best argument the AMA makes is that excessive noise eventually causes fatigue for the rider and could thus impair their riding abilities. I think they should be putting some resources into proving this point, and making a fact-based argument for it. In reality, all the “play nice” thinking doesn’t matter much. What matters is what happens on the road. And on the road, drivers who hit motorcyclists love to claim, “I didn’t see the motorcycle.” Obviously, then, awareness of motorcycles is a big issue. And if loud pipes make drivers aware of motorcycles, then perhaps that will mean fewer accidents. So – do loud pipes save lives? I think they can. What do you think? Mostly, loud pipes just tick off the neighbors. In motion, the sound travels largely behind the bike anyway, which is ineffective in warning drivers ahead…I’d rather ride with quieter pipes and just be a better, more aware rider. I’ve been startled by quiet bikes…I’ve been more often startled by loud bikes. I’d rather see the effort be thrown into getting more riders to wear better gear than encourage loud pipes. Just from observation, it seems like the louder the pipes, the less protective gear, which makes no sense to me at all. I think a point has to be made here… HOW loud are you all saying loud pipes are? I happen to believe pipes a little louder than stock do promote more cager awareness. I’ve been sitting at a light, and rev my bike, and notice drivers look over at me. Pedestrians also hear louder pipes. However severely loud, earsplitting, hurt-your-ears pipes promote hostility AGAINST riders. They will be seen and heard, but also hated. I think they should get BIG tickets!! As for being startled by bikes zooming up, they can be either loud or quiet, they can still surprise us, as can cars. Our best bet is to drive safely, defensively, be moderately loud, and wear protective, visible clothing. That’s how I roll! Aftermarket horns have made a difference for me. They can project their sound AHEAD and BESIDE the motorcycle, not behind it, like loud pipes. Just FYI my FZ6 has Scorpions that are quite a bit louder than stock, but not obtrusive when ridden moderately. I think at the proper decibels they do. However, what I found to be the case here in Maine is that the issue is abused. Rather than use them at the appropriate time they’re being overused at inappropriate times making it difficult for the non-motorcycle rider to feel sympathetic toward the cause. Now you really know it’s a problem when motorcycle riders themselves say “that’s just too loud!” I agree that loud pipes save lives, but there are riders out there with pipes so loud that honestly it’s overkill and it’s those few select that are going to help pass the bill that will eventually help us lose our right to bear loud pipes. Loud pipes or not, people will hear what they want to hear and not hear what they don’t want to hear – unless you are forcing them to hear you like with EXCESSIVELY loud pipes… that might make them mad, but hey, then they will know where you are! No one will ever know if loud pipes save lives because the government doesn’t keep statistics on accidents that don’t involve deaths. It’s always a good gesture to be respectful of each other’s peace. I used to have loud pipes, but was able to find the right speed and RPM on my bike to be more quiet in neighborhoods. All valid points, thank you everyone for the discussion! The whole debate seems to come down to “all things in moderation,” doesn’t it? You walk a line between what you want/need for your bike, vs. what is reasonable/respectable out in the larger world. I put straight pipes on two bikes, but my current bike is quietly stock. I’m conscious now of how loud my other two bikes were – though one especially had a distinctive, beautiful low/rumbly sound that I loved. Anyway, I really appreciate everyone’s perspective on this! If loud pipes saved lives then the government would mandate that all pipes face the front of the motorcycle. As one who started riding in 1974 and once believed that loud pipes save lives I can point to a few facts about motorcycle crashes that have held true for decades. 1. The majority of motorcycle fatalities DO NOT involve cagers. 2. Alcohol plays a major roll. 3. Inexperience plays a major roll. 4. 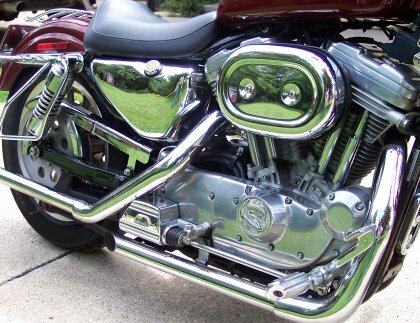 Most riders with 30+ years of motorcycle experience realize realize that loud pipes can cause accidents because loud pipes cause riders to become fatigued at a faster rate and because loud pipes reduce the rider’s ability to hear what is going on around him or her. 6. In the majority of accidents that do involve cagers, the riders of the bikes were traveling too fast for conditions. Loud pipes save lives? No, riding like every cager on the road is out to kill you is what saves lives. I had some good points in the holster but then I read Billy Jones’ comments and was cut off at the knees. He stole my thunder! In all seriousness if your pipes are loud enough to attract attention then they are obscuring the sounds you need to hear to stay safe, namely the sounds of the vehicles around you. The idea that just being loud and expecting everyone else to react to you is a patently silly one. It’s the motorcyclist who bears the burden of riding safely, intelligently, soberly and trained to ride that makes the difference. Loud pipes do not save lives. What saves lives is training, sobriety, skill, experience and safety gear. Loud pipes set off car alarms, start dogs to howling, and wake up the neighbors. You are invisible and you’d better ride like it, don’t depend on your bike’s blatter to keep you safe. Drivers in cages have sound systems and they like to crank them up. Loud pipes or no, in that case, you’re still invisible. I also agree loud pipes can save lives. I love my neighborhood and respect them enough to throttle down out of respect however when I am passing or around a vehicle that is swerving and not paying attention I rack off my pipes enough to get their attention. Now here’s what I never see posted on this subject! If you take your noise laws and find out what the decibels are, you’ll find they are totally obserd! My husband is president of a local MRO and found out that the decibels in our local county law was no more than the decibels in a household blender. Why aren’t cars being ticketed for this? I hear more noisy cars on the roads than any bike! 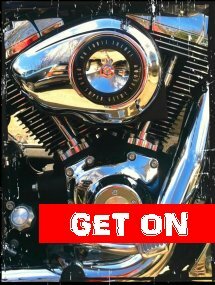 Lets educate the riders on checking what their local laws really state so that we can fight these obserd laws!